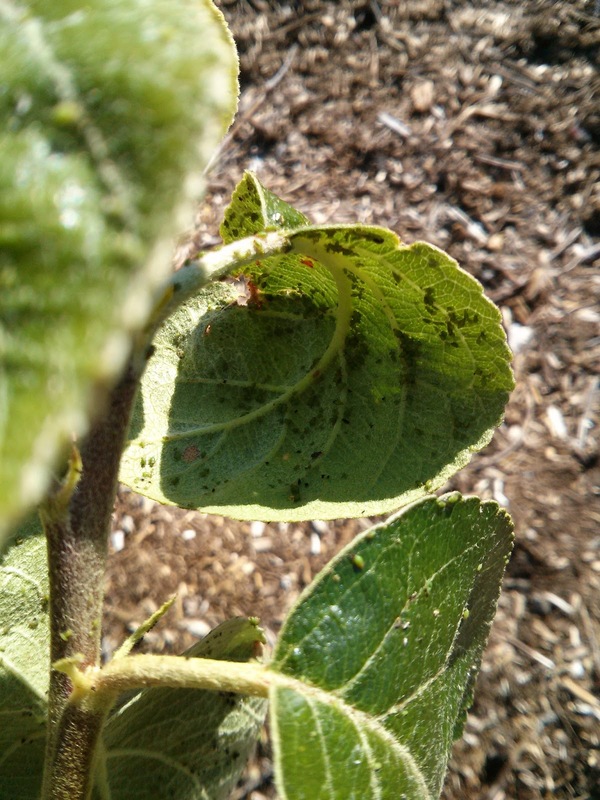 The other day I noticed we have aphids proliferating on one apple tree and one pear tree (out of 14 trees). At this point they are only attached to the youngest buds at the end of the main branches. My plan at this early stage is to spray the effected leaves with diluted dish soap in a spray bottle on the sharpest spray. If I hold the leaf while spraying then about half the aphids are knocked off and the other half will have to deal with the surfactants in the soap water and should either suffocate or dehydrate. You should also spray off the soap residue from the plants as it may burn your plants. This is less of a concern with the tougher leaves of fruit trees but certainly an issue for more fragile plants like peas and beans. 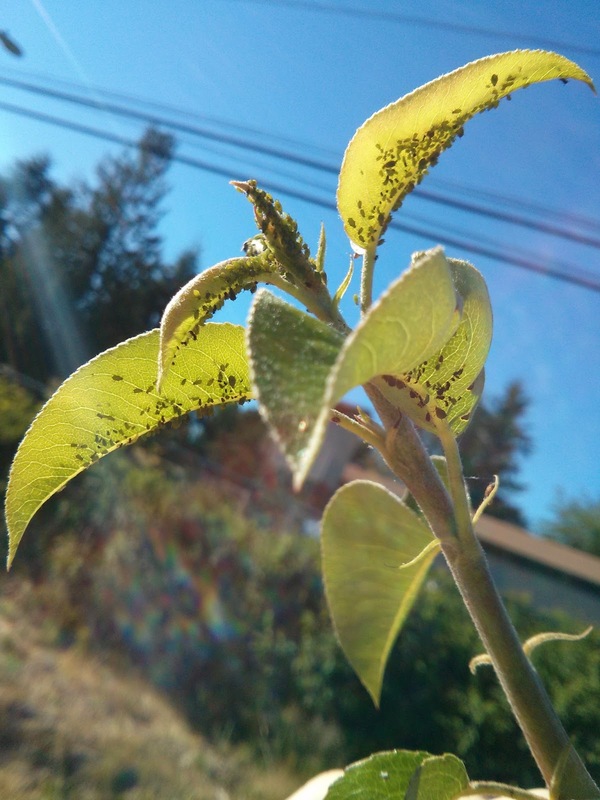 If the aphid problem is more widespread you may have to consider more aggressive treatment or they will spread everywhere and start sucking the energy from everything so early detection and treatment is key. 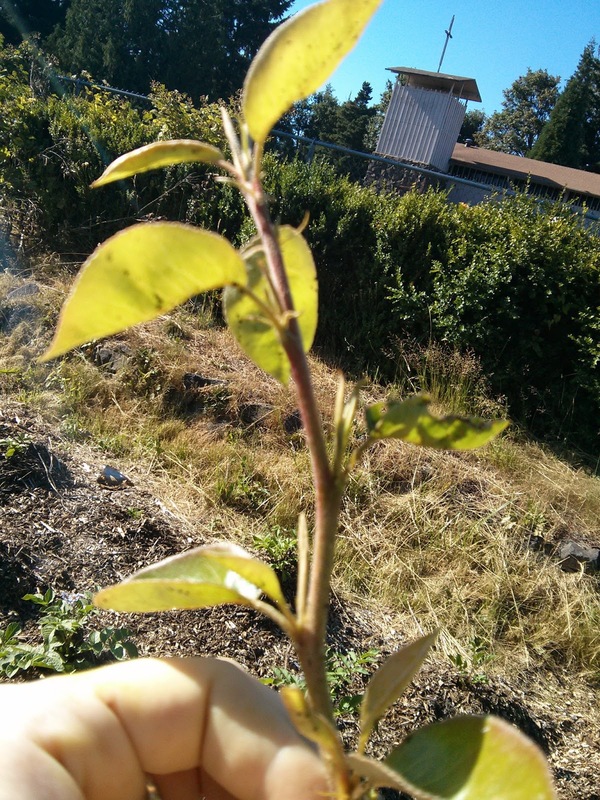 Pear tree pre-soap spraying. Both green and black aphids. Apple tree post-spray. I first noticed the aphids because these leaves began to curl. 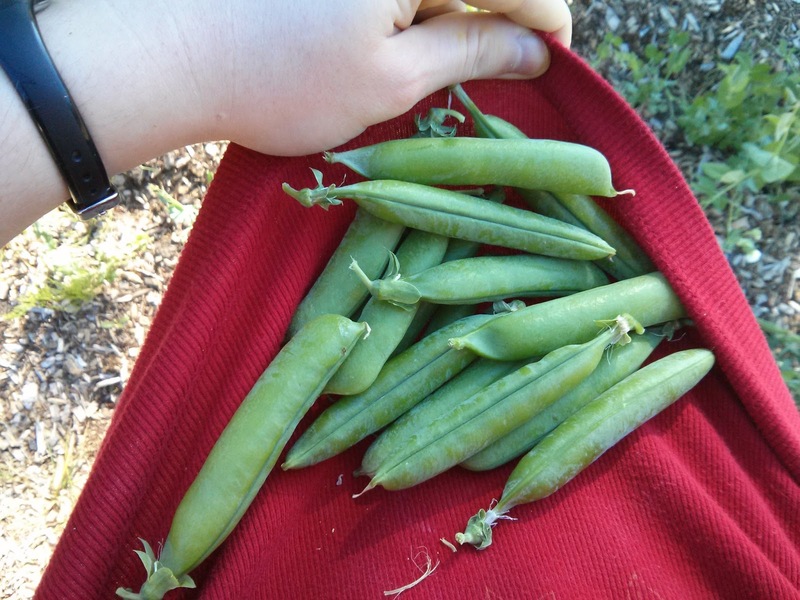 Beautiful first flush harvest from the second generation of Oregon Trail Peas. Just ordered some more from Nichols Garden Nursery.